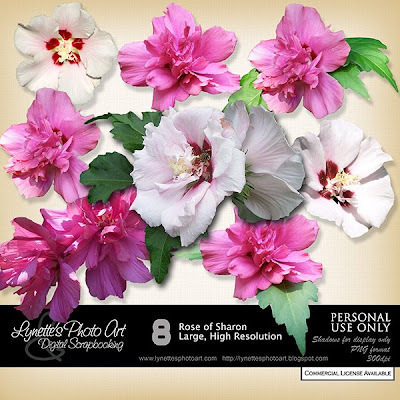 Rose Of Sharon has 8 highly detailed blossoms, even a double blossom with a bee in it! $3.99 at my PayPal store. Click image to enlarge. Click Buy It Now button below preview to purchase. Today I'm giving you one of the flowers so you can see how lovely this kit is.